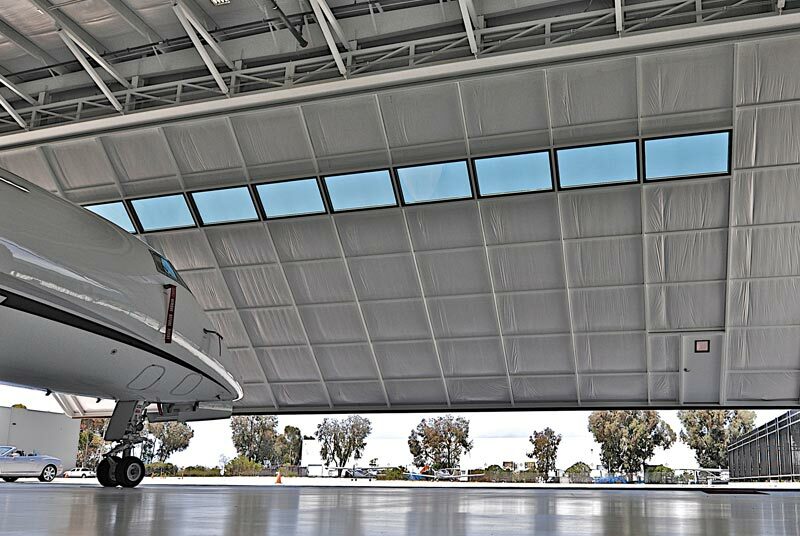 The Hydroswing® hangar door is now the benchmark single panel hydraulic door system. 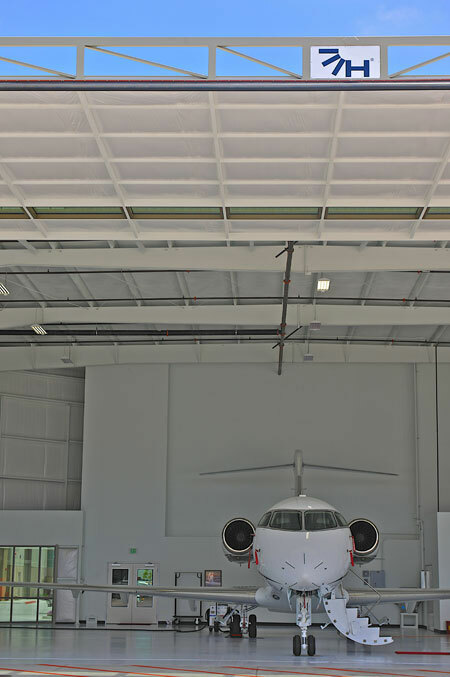 Whether you have a home built plane, Global Express, helicopter, glider, Cirrus or a King Air, we've got a door that will fit your aircraft hangar. 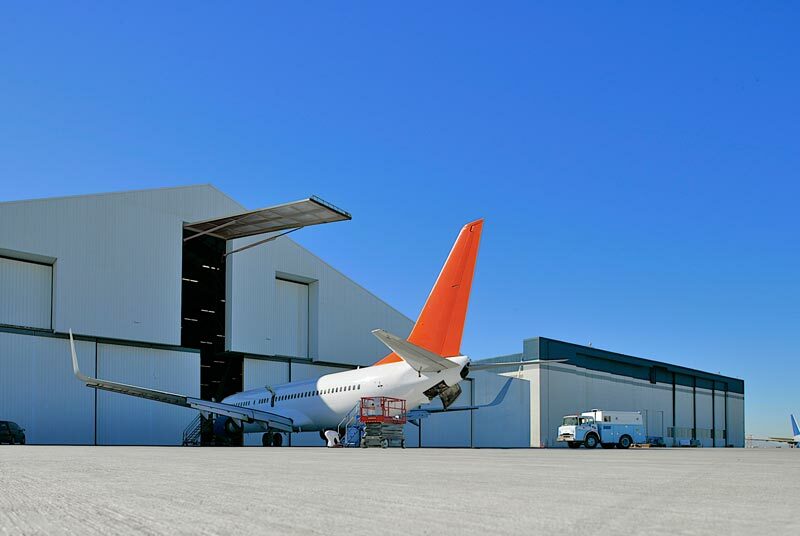 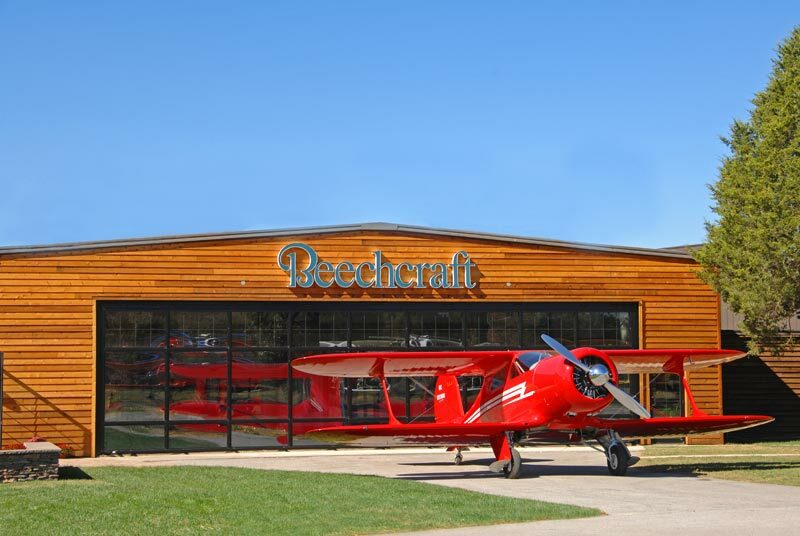 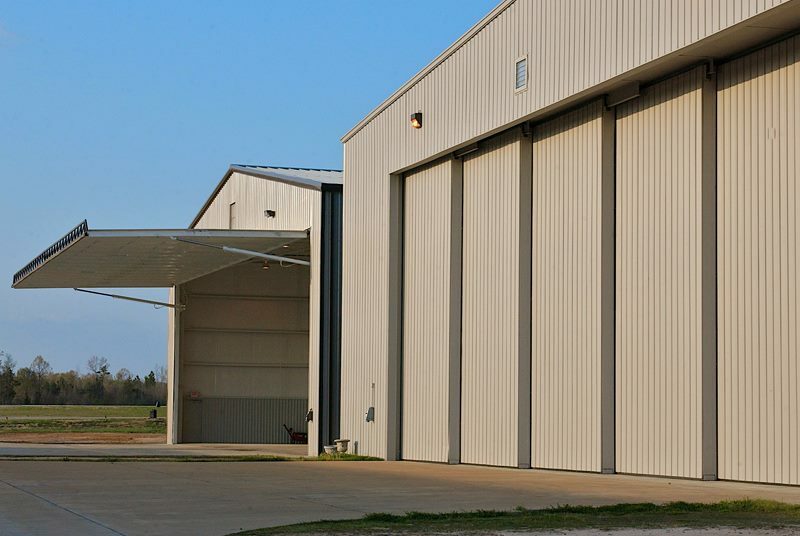 You worry about flying your beloved aircraft, and like several thousand previous Hydroswing® customers, we'll custom manufacture hangar doors in any size as large as 40' tall and 150' wide. 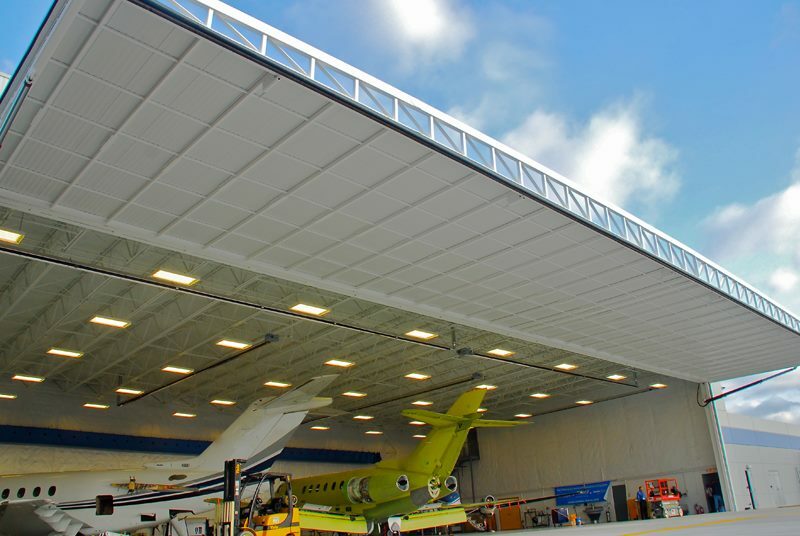 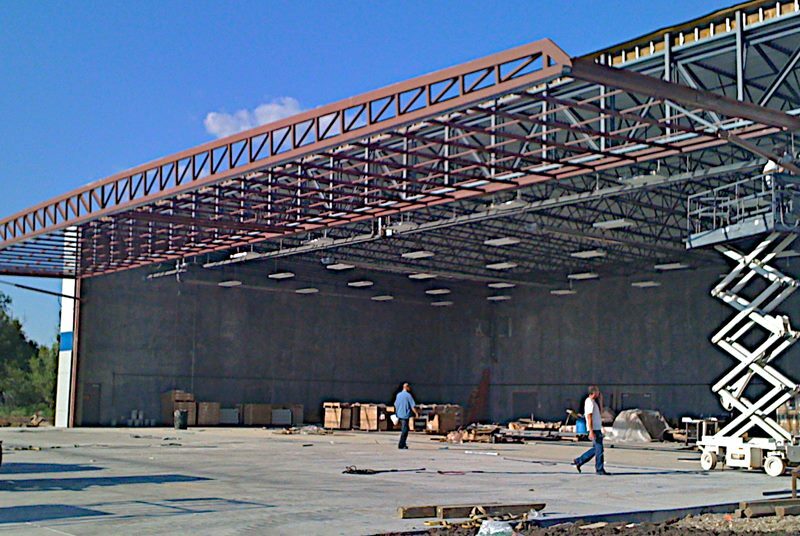 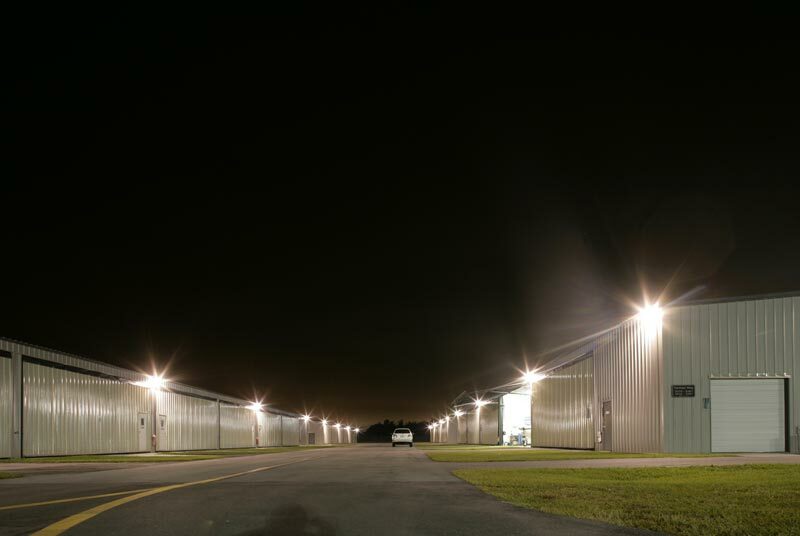 Need more headroom on your airplane hangar? 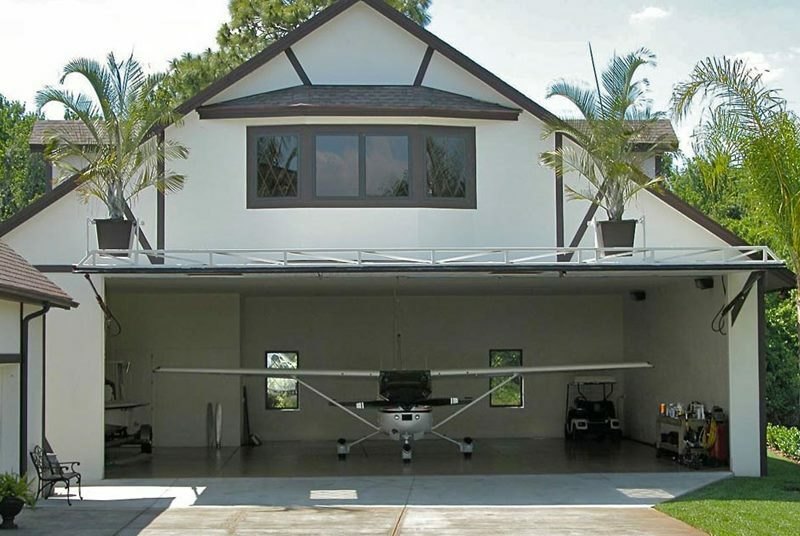 Removing bi-fold doors or slider doors? 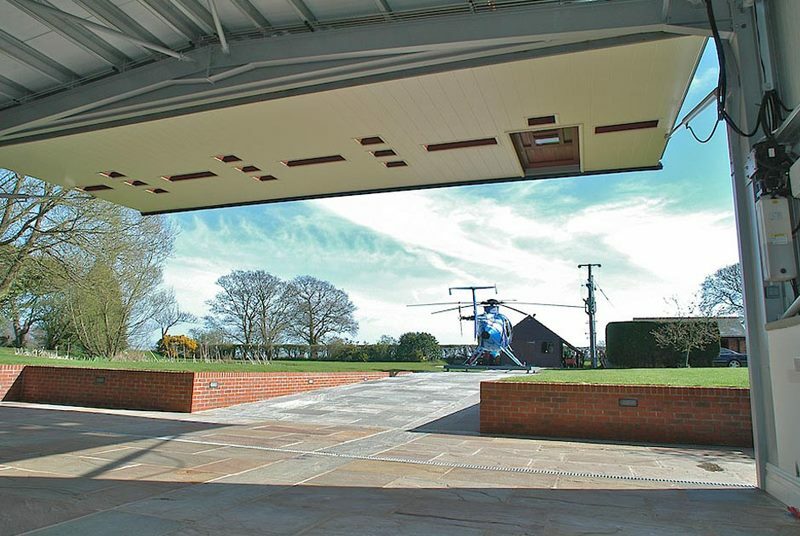 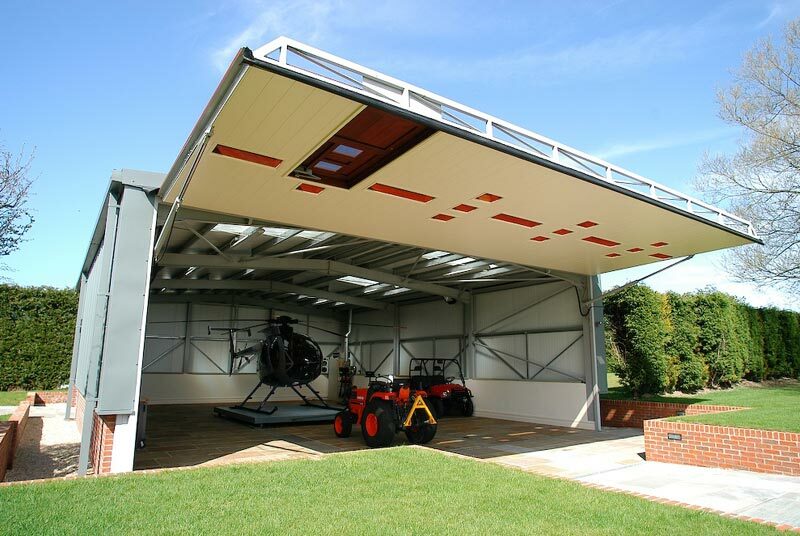 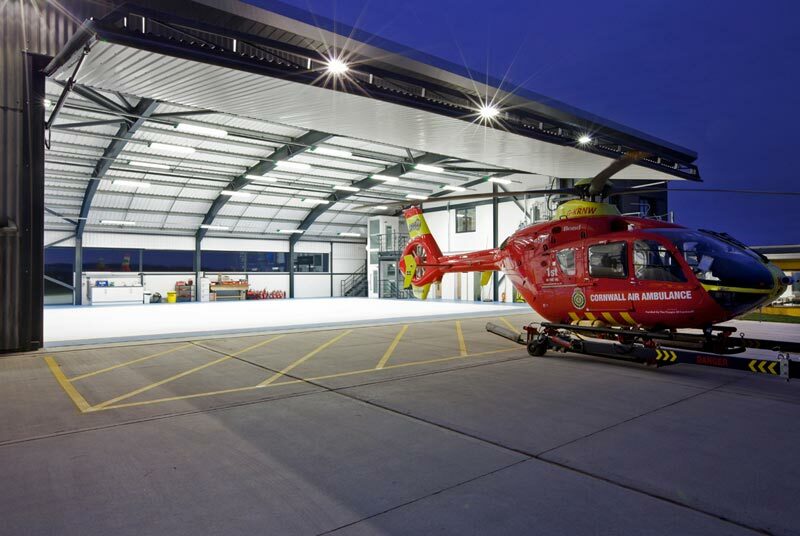 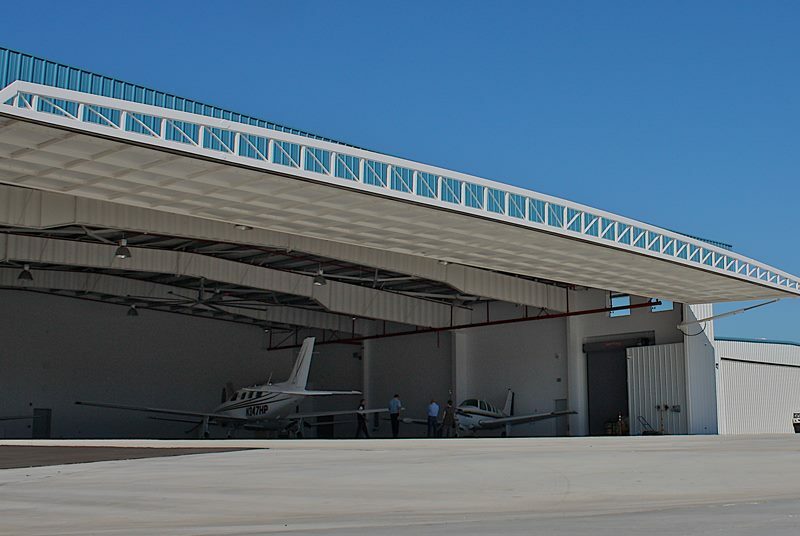 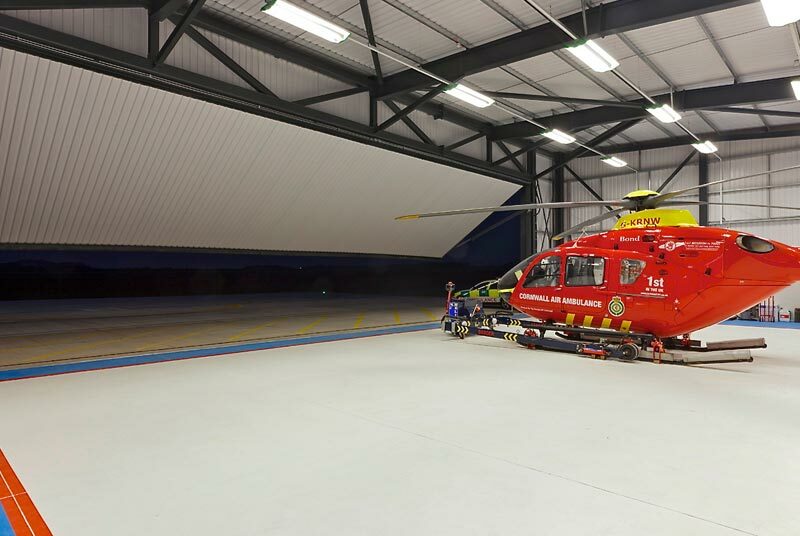 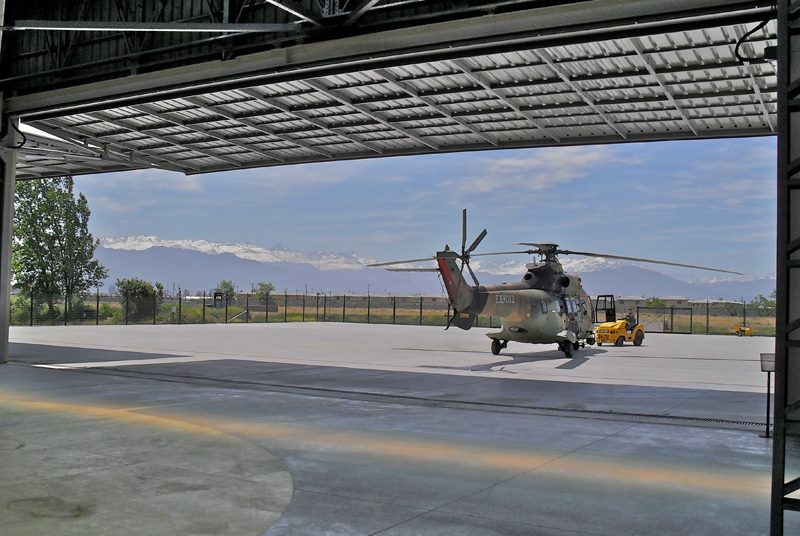 Replacing them with a Hydroswing Hangar Door can increase your overall hangar door opening. 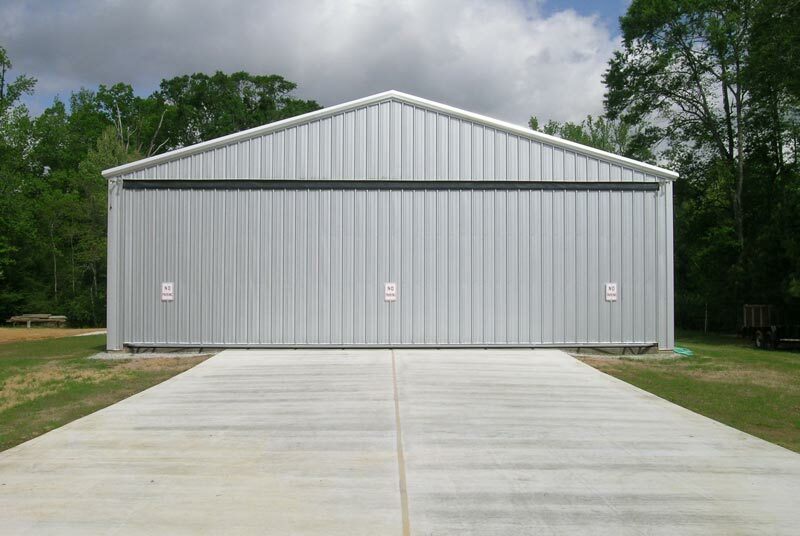 Hydraulic doors are a perfect alternative to fabric and bottom roller doors and can be easily installed by you or a contractor of your choice. 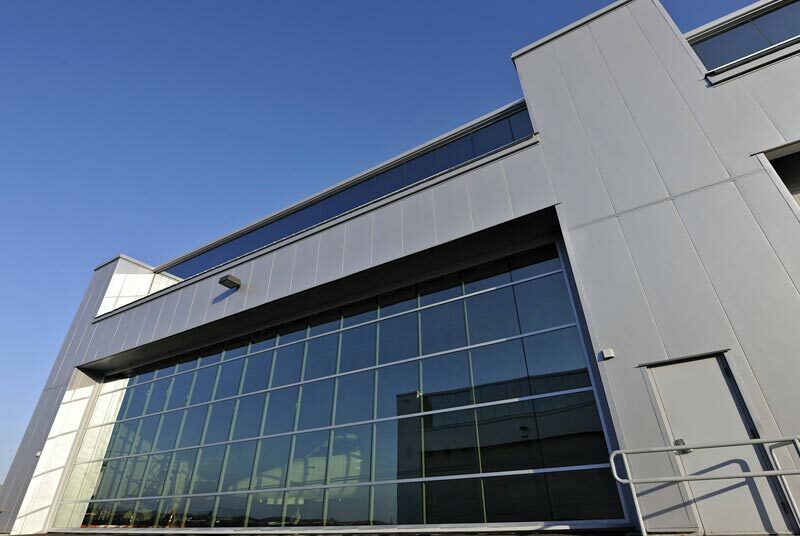 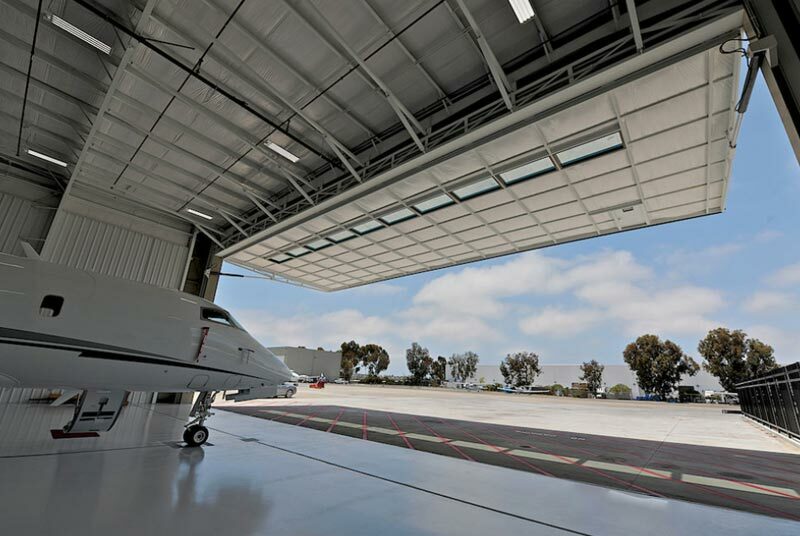 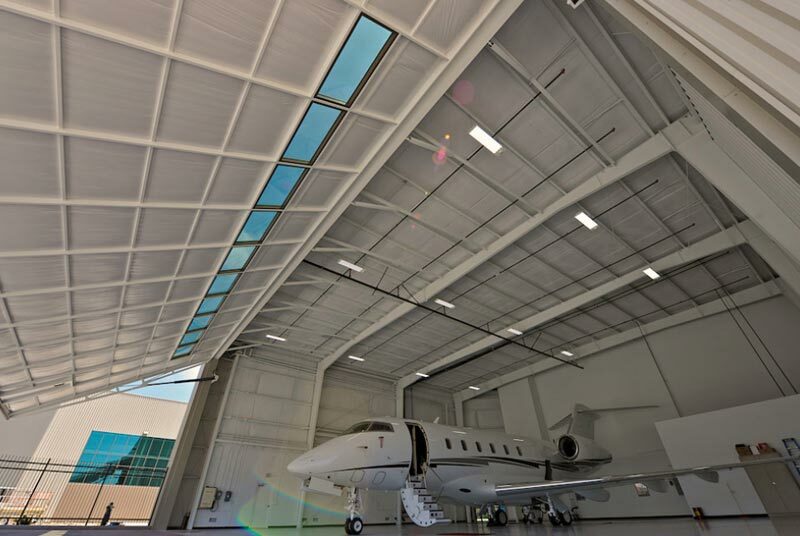 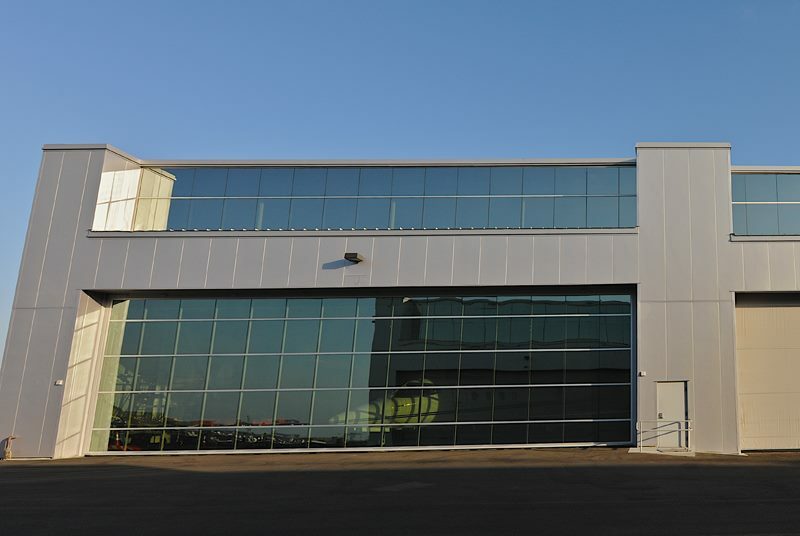 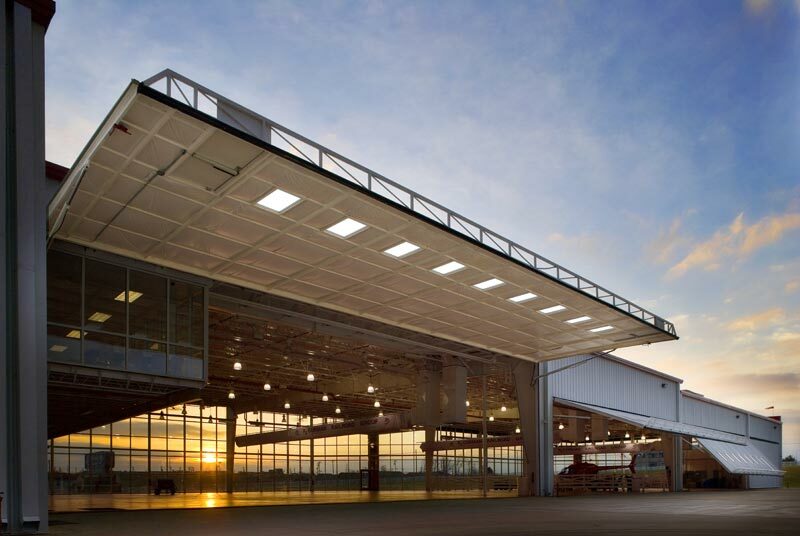 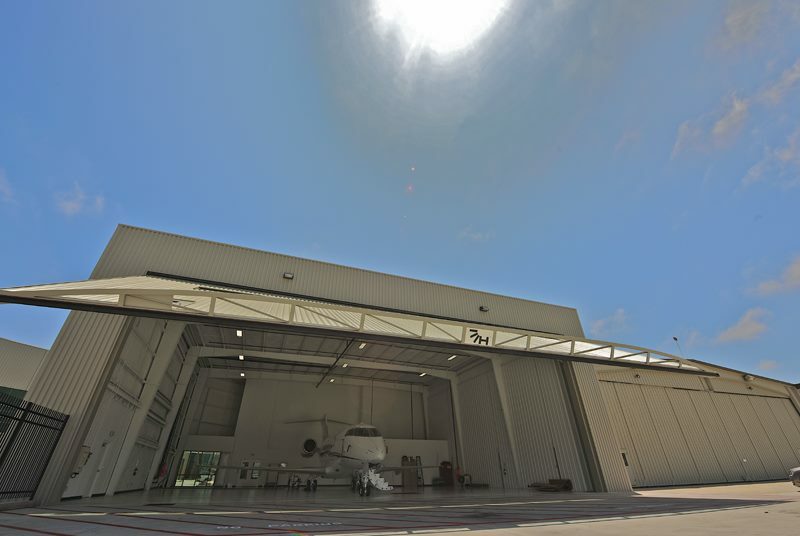 The hangar door systems Hydroswing® designs and manufactures have some of the lowest in service life costs and lowest maintenance costs in the large door industry. 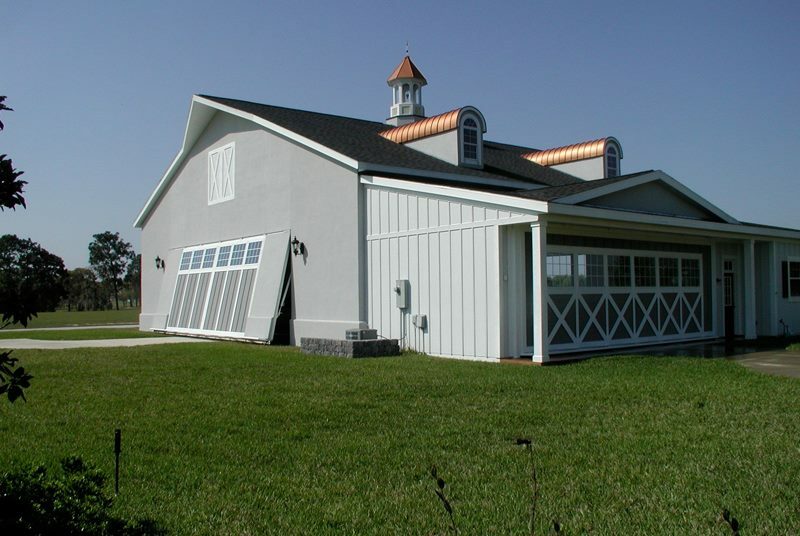 Over 70% less moving parts and no additional rails to be sunk into the threshold or hung to the header, no wires or chains to snap rust or shear, no exposed drive shafts, gears or extra locking devices to keep the door shut. 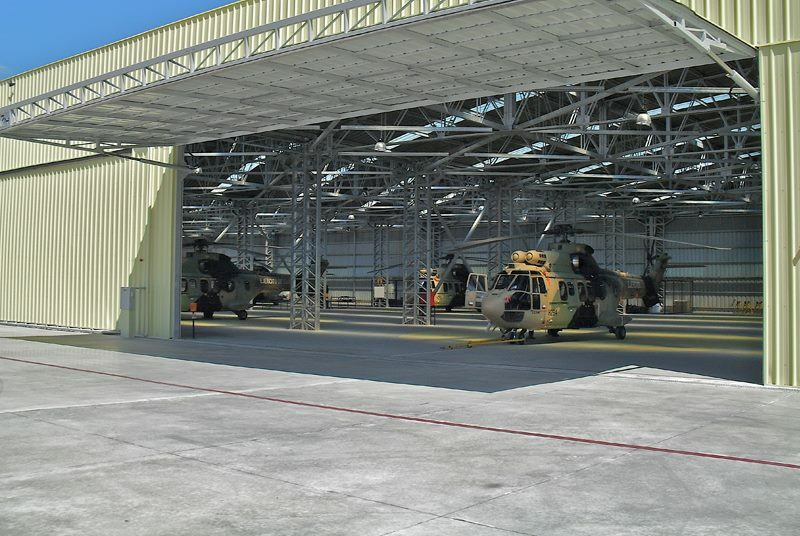 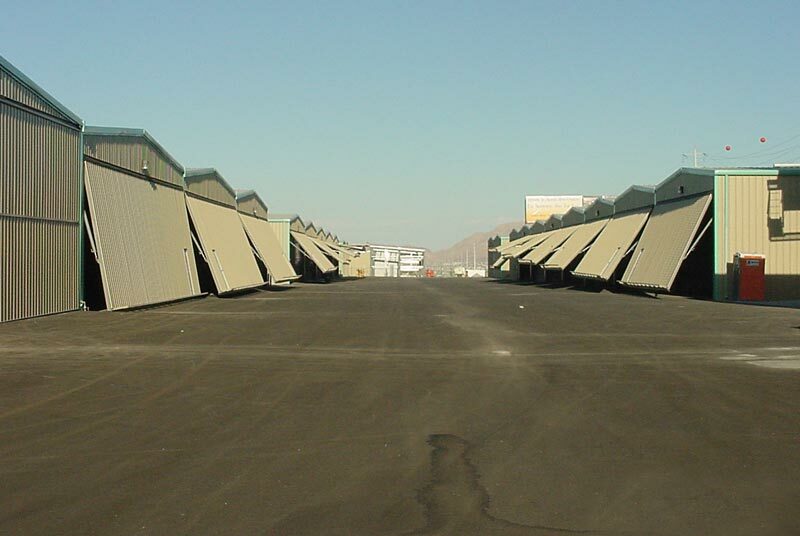 We ship worldwide, manufacture in three ISO 9001 approved facilities and provide a fully engineered product for T hangars, FBO, executive, Military and more recently aerospace industry (such as Wing and fuselage paint booths). 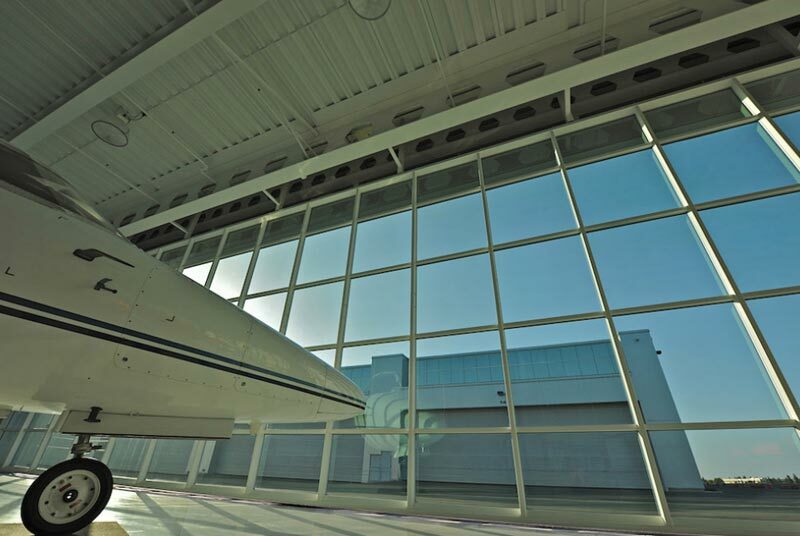 Hydroswing® is the original and ever evolving single panel hydraulic door system. 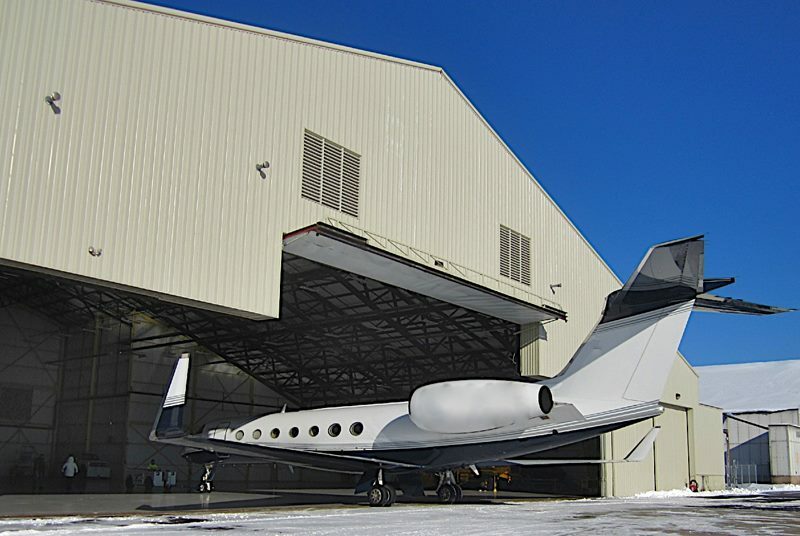 Standing out as the world brand leader serving private, corporate, military and general aviation. 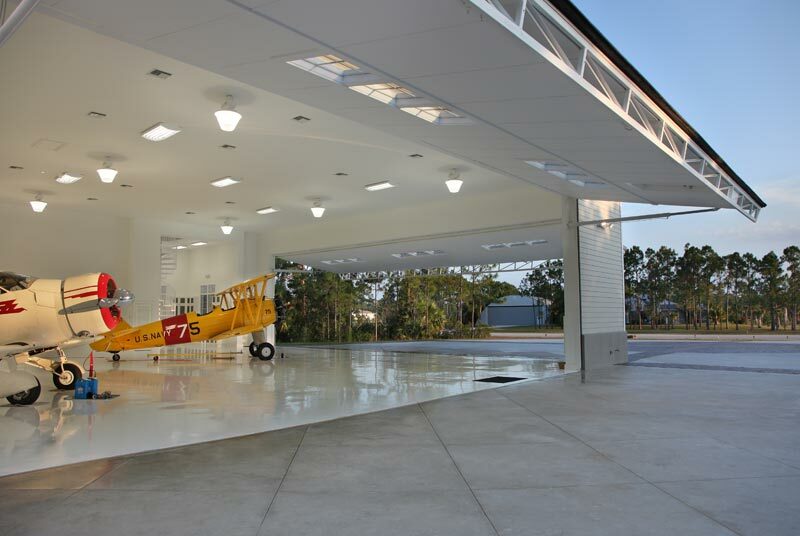 "A work of art compared to other doors! 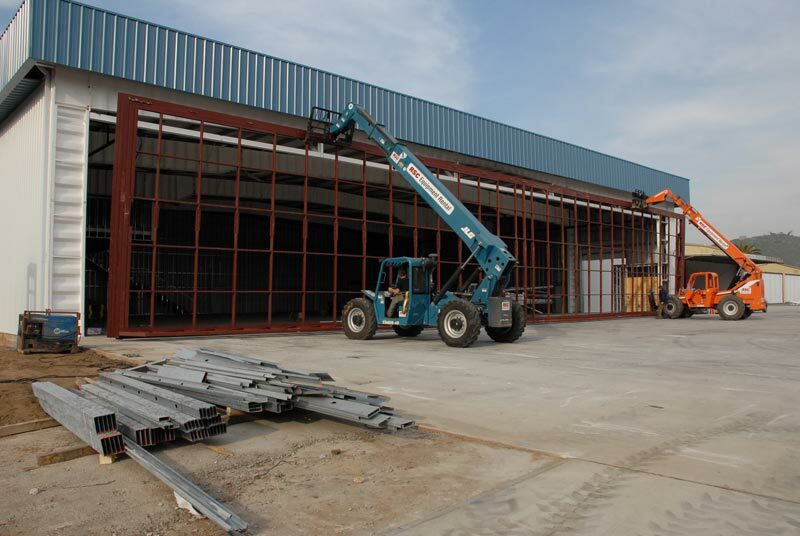 The installation of our 42ft (12,801.6mm) by 14ft (4,267.2mm) was very straight forward. 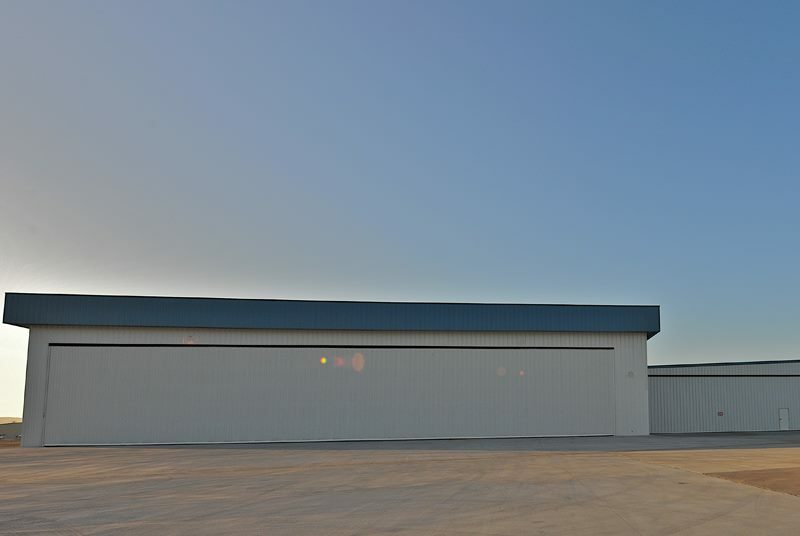 Hydroswing delivers quite a bang for your buck when comparing quality with other door manufacturers. 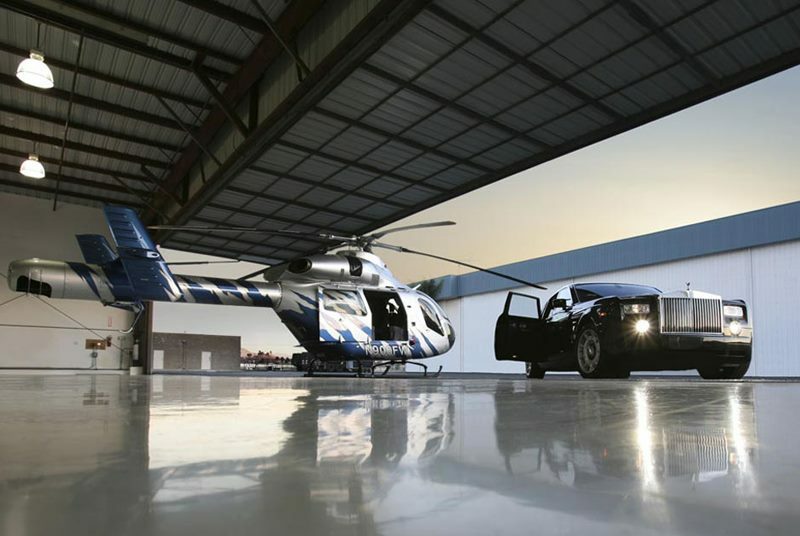 There is simply no other choice when all things are considered."